Hello My Glamorous Friends, welcome back! Today I am sharing with you a fitness post. A couple of years ago I vlogged about my new workout equipment and since have been asked about my routine and progress. I am happy to say, I am still doing it and completely love to jump. Whenever I feel down, I love to turn on some music and just jump!! It's also nice because of its physical health benefits to keep my body toned and in shape. I am not a health professional or fitness instructor so make sure you consult a doctor before trying any new workout. -Using the trampoline takes up to 80% off the stress of your weight-bearing joints. -Using a trampoline is a wonderful option for seniors, physically-challenged, those recuperating from accidents or injuries. It’s also excellent exercise for those who have been sedentary and are starting an exercise programme. -Improves your sense of balance. -Increases oxygen circulation to tissues. The first thing I like to do is stretch and use my trampoline as a stepper and work up my heart a little. I like to hop on one foot, equally to both sides. This is nice resistance for kicking legs side to side and front to back. I love to do my squats, jumping while doing them is that much more intense. Jump switching feet from front to back. Sometimes I like to just jump and spin around kicking and punching like a ninja. Bouncing and twists with strong arms. Whenever I feel down, I love to turn on some music and just jump!! It's also nice because of its physical health benefits to keep my body toned and in shape. 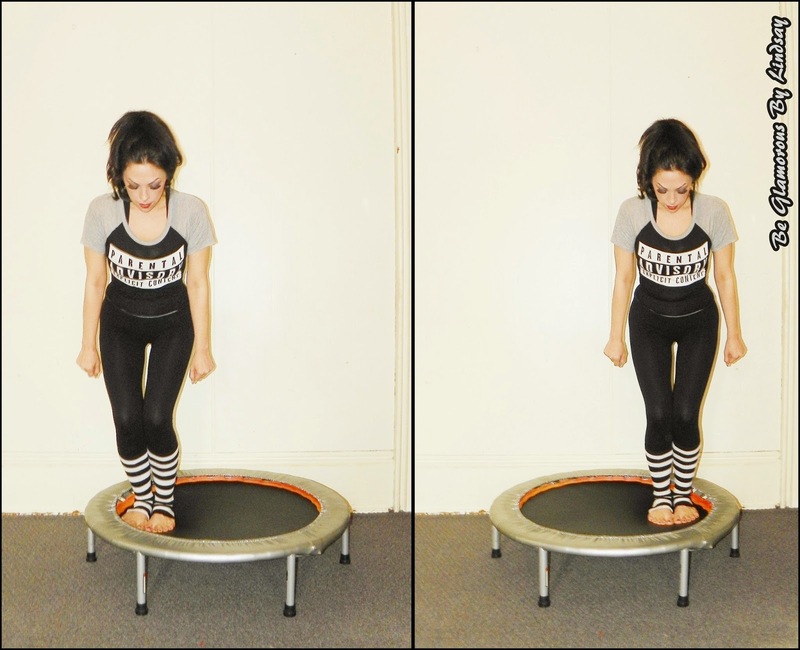 It was nice to see the Mini Trampoline Workout picture of yours at www.gettrampoline.com. Trampoline are sure fun. They are great way to get relaxed and good in terms of fitness too. Now-a-days, kids like sitting in front of television or playing games on the Smartphone, and I wanted to engage them in outdoor games, so I planned a trip to the nearest trampoline park, and they enjoyed jumping and bouncing for few hours. Now, I have selected the best trampoline with the help of GetTrampoline, and I am sure that my kids are going to like the idea. Now I don't want to upset all of you distance runners out there. Hey, if distance running is something you enjoy, then go right ahead. This is one issue that should be understood quickly, to your benefit (and that of your friends and family). Before things deteriorate. On the off chance that legitimate treatment alternatives are accessible, why endure those badly arranged manifestations for any longer than should be expected?